The leader of Pink Floyd blew his mind out after months of continuous acid usage. After frying his way through one stupendous debut album with the Floyd, the wheels started wobbling fast. Hence, a race ensued between Syd’s first solo album release date and his rapidly evaporating muse. 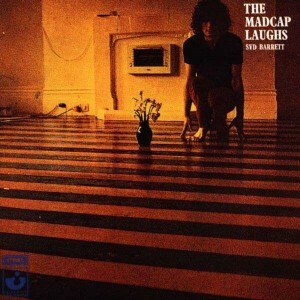 Syd’s replacement in Pink Floyd (Dave Gilmore), came in to the project on a salvage mission and assumed the production chores on Barrett’s off-kilter masterpiece, “The Madcap Laughs”. The album is awash with idiosyncratic playing, mistakes, false takes, and other unexpected events. 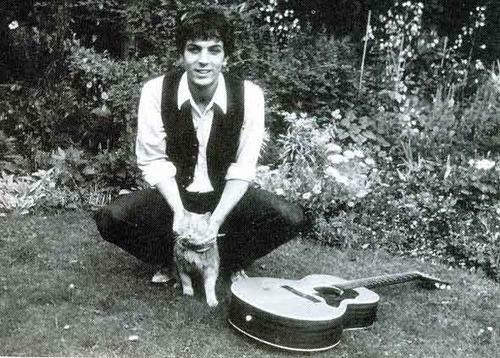 Syd Barrett was a musical shaman/visionary with leading man looks who could have stood with Lennon and Dylan. Instead he streaked across the sky in one short 24 month Technicolor sunburst, and was gone. It was unclear if Barrett was an undiagnosed schizophrenic who reacted badly to LSD, or if LSD was the sole catalyst for his descent into mental illness. However, it’s indisputable that Barrett changed the course of Rock and Roll with his psychedelic adventures in hi-fi. Additionally, his influence on Pink Floyd was pervasive and permanent. Their spacy improvisations and sonic explorations trace directly back to Barrett. Moreover, they wrote several songs about him and took a familial interest in his well-being until his death in 2006 from pancreatic cancer.